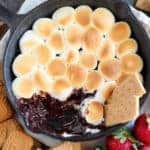 Easy Oven S’mores Dip – A recipe for s’mores dip made right in your oven. 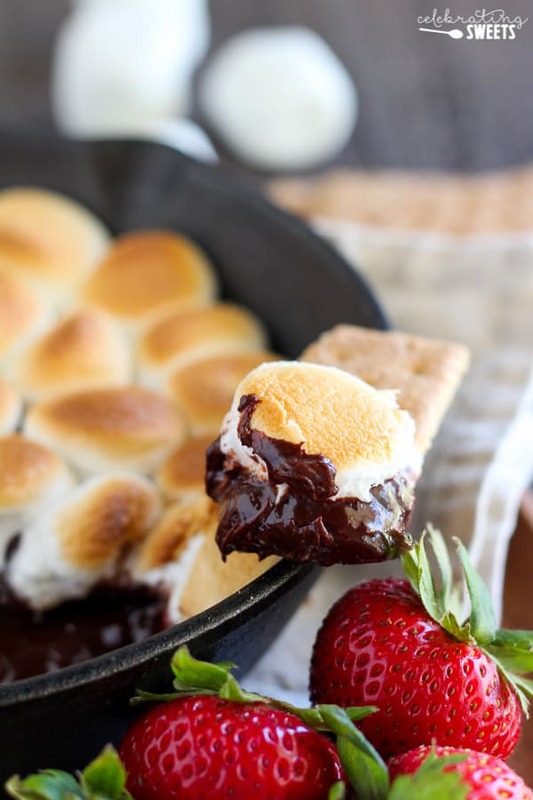 Melted chocolate topped with toasted marshmallows and served with graham crackers, cookies, or fruit for dipping. Ready in under 10 minutes! VIDEO below. Our 5 year old, Jake, has been asking to go on a camping trip. His desire to try camping came right as the temperatures started soaring. If I’m being honest, I don’t want to camp ever, but I really don’t want to go camping when the temps are in the triple digits. So, last week we decided to have an indoor campout! We set up pillows and sleeping bags in our living room, we told campfire stories, ate dinner at our “campsite,” and we indulged in s’mores dip!! It will come as no surprise that our favorite part of the campout was this s’mores dip. 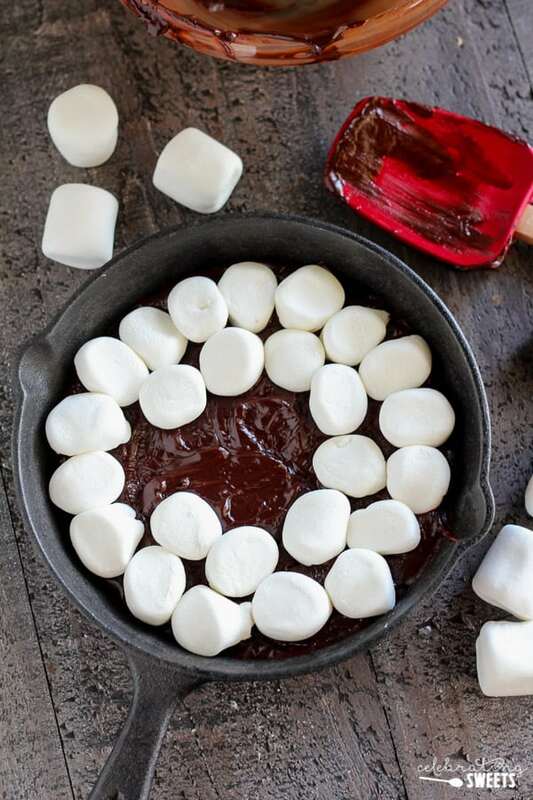 What’s not to love about a skillet of melted chocolate topped with toasted marshmallows? 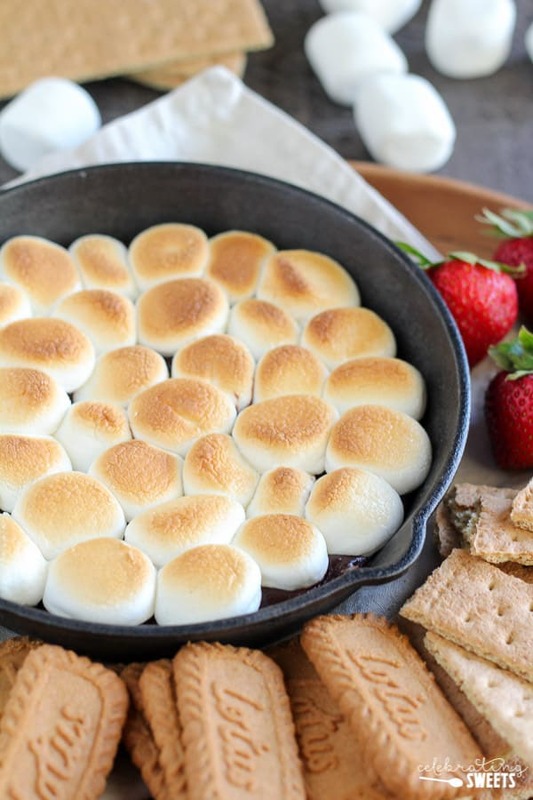 This s’mores dip is a fabulous way to satisfy your daily s’mores craving. All you do is melt chocolate chips with milk in your microwave. Once melted, pour it into a small skillet, top with marshmallows, and stick it under the broiler for a few seconds. That’s it! It’s ready in under 10 minutes. I calculated roughly 7 minutes from start to finish. Another great thing about this recipe is that you can dip anything you want in it! You’re no longer limited to the traditional square graham cracker because we are dipping, not building a sandwich. Want to use your favorite cookie?! Want to dip fruit in it?! How about something salty (pretzels, ritz crackers, potato chips)?! You can dip ’em all! Eeeeeekkk! This dip is also way less messy than eating a traditional s’more. As I’ve mentioned before, my husband and son loathe being sticky. They avoid traditional s’mores because of the stickiness factor. This dip was perfect because you simply scoop the dip onto your cookie/cracker/fruit and stick it right into your mouth (no squishing down/squeezing out like a traditional s’more). So the next time you decide you want s’mores, there’s no need to plan a camping trip or start up your fire pit. 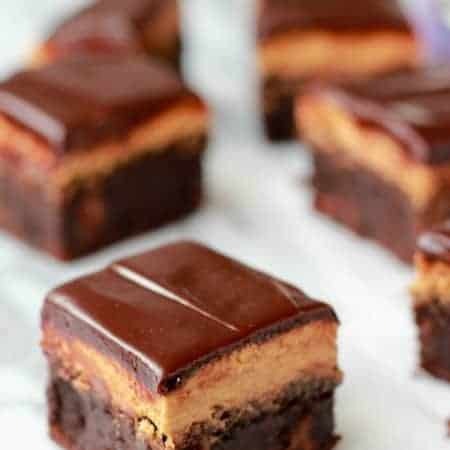 After 10 minutes in your kitchen you’ll be diving into these scrumptious and nostalgic flavors. Love S’mores? 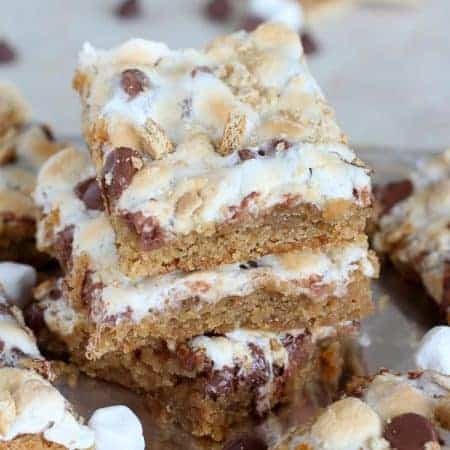 Try my S’MORES MILKSHAKE or S’MORES BARS! 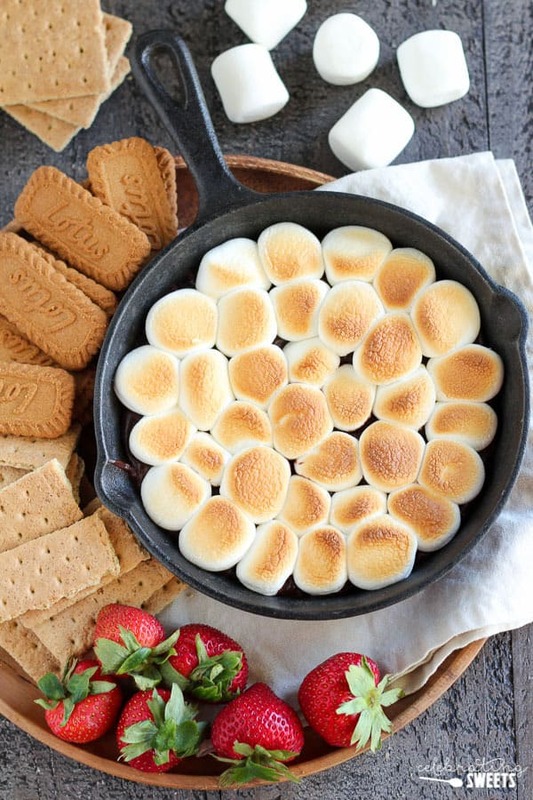 Have you tried s’mores dip before and were unsuccessful? Me too! 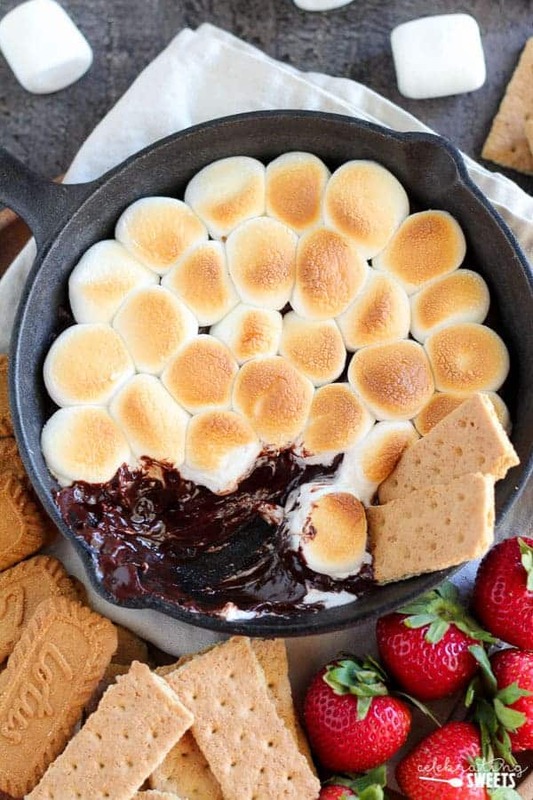 Most recipes for s’mores dip (that I’ve seen) have you melt the chocolate chips directly in the skillet in the oven. Although that method eliminates the use of milk and the microwave, I have had varying success trying it that way. It is very easy for the chocolate to overheat, in which case the chocolate will seize and harden. I’ve found that this method of slowly melting the chocolate in the microwave with milk to help thin it out works every time! An easy recipe for s'mores dip made right in your oven. 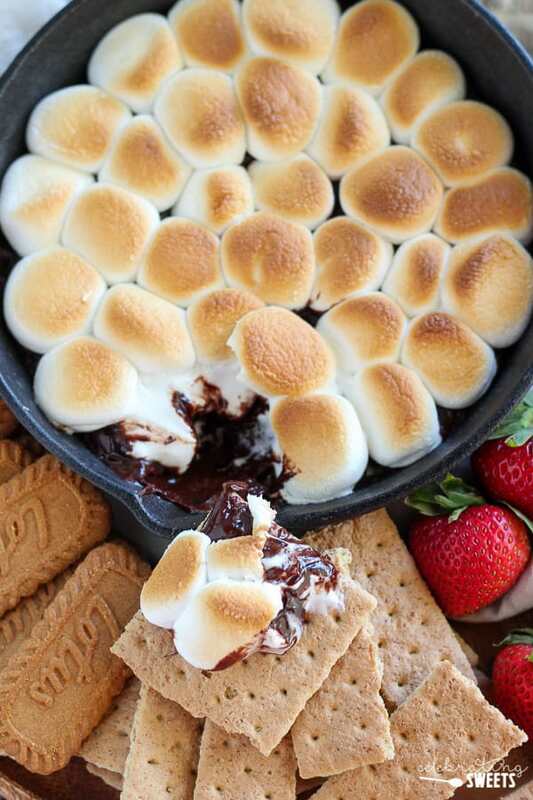 Melted chocolate topped with toasted marshmallows and served with graham crackers, cookies, or fruit for dipping. Ready in under 10 minutes! Preheat broiler and place a rack in the upper half of your oven (at least 5 inches from the broiler). In a large microwave safe bowl, combine chocolate chips and milk. Heat in 15 second intervals for a total of one minute, stirring well between each interval. If the chocolate is not melted, heat in 10-second intervals, stirring really well, until melted and smooth. The key is to heat the chocolate very slowly so that it does not overheat. Pour the melted chocolate into an oven safe skillet or casserole dish (I used an 8-inch cast iron skillet, about 3 1/2 cups volume). Top the melted chocolate with halved marshmallows and place under the broiler. Broil until the marshmallows are toasted and golden brown. This will happen fast, so keep a close eye on it. 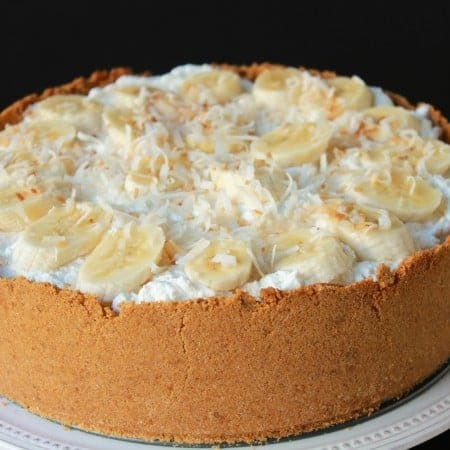 Serve immediately with graham crackers, cookies and/or fruit. Oh My! This looks absolutely wonderful! I could eat this whole thing all by myself! No Lie!